The Expert Advisor uses the strategy based on the breakdown of the most important support and resistance levels. Adaptive trade trailing algorithm is used. The EA uses a very small SL so the account is always protected from equity drawdown with a very low risk-per-trade. The EA integrates a system of partial position closure during slippages (can be configured). Does not use other risky strategies. Always use of stop loss to protect capital. Based on genuine 'in-house' algorithm. It can work with a small deposit. Can work with fixed lot and MM. Does not open orders with a high spread. (can be configured). Maximum allowed spread — 0 to 20 pips. ECN broker with low commission and spread. Magic — The magic number of the EA's orders. Order comment — A comment to the EA's trades. Use custom slippage — When set to true, the EA will close orders is slippage is above custom slippage. custom slippage — Slippage value to close orders. disable trade if spread high — Disable trading for some time (from 5 minutes to 24 hours) if the average spread exceeds Max Spread. Use_Risk_MM — When set to true, lot size is increased together with account balance increase (Risk Management). Lot — Fixed lot value (if Use_Risk_MM - false). Adaptive Trailing stop — When set to true, the EA uses an adaptive trailing stop. Trailing Stop — Trailing points when the position is in profit. (-1 = off, 0 = Stop_Loss ). Risk Protection Close Orders — When set to true, the EA uses forced position closing to protect against losses. breakdown past weeks — When set to true, the EA uses breakdown of past weeks. Performance is mediocre. Trades can be good for awhile but then you can get some bad ones that bring down its overall performance. Long-term might be good average but too much stress when it has bad trades consecutively and brings net balance down. It isn't afraid to take a trade but if lots set too high it can get out quickly but not without bringing your balance down from commissions due to lot size. I've been testing on demo for months but I don't trust it enough to put on live account. Update: 2017 Mar 16: Tested with newer version (3.12) and still poor performance. Removed chart from my test MT4 platform after consistent losses exceeded any gains. Very true , owner try make Algo but is not really that, i lose 50% ecn account ICM with fast vps NY. медленный слив депозита на рекомендованном автором брокере. на реальном счете данного типа советники не работают. На реальном счете не работает. Не тратьте деньги. Очередной хлам. I have been renting and using this EA on my live account since 8th of april. So far it has produced a gain of 2.69%. I will try this EA for 2-3 months and if it makes consistant profits (20% or more per month) then I will purchase. You will need a VPS with low latency and a broker with low spread for the best profits. Seller is a good guy that will help you with the purchase and setting up. So far I'm liking it. EA has made about 5% gain so far. Max drawdown is 2%. Takes about 50 trades per month. Live performance will be added within a few weeks. This EA was increased to 20% of my money in a week. I will send five stars. 1. 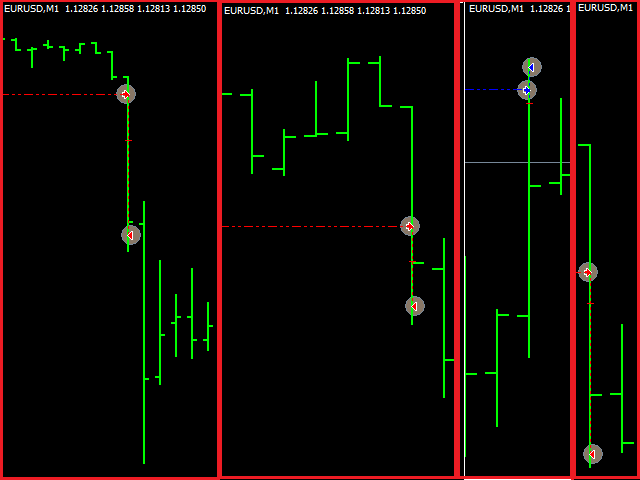 Added hidden stop loss and take profit. Now the EA is not sensitive to STOP-LEVEL. The EA will automatically choose whether to use the hidden SL and TP or not. 2. Position closure system has been improved. 1. Completely revised the mechanics of searching for breakouts, implemented filter for eliminating false signals. 3. Added function: selection of the trading days, it is possible to select the days for the EA to trade. 1. Added protection against high spread: if the average spread is greater than the (max spread) variable, the EA closes pending orders and does not place new orders. 2. Improved the main strategy. 2. Improved the adaptive closure in case of slippages. Fixed the "trading by time" feature. Revised the peak searching system for the best breakouts. 2.removed the adjustment of pending orders. 2. Improved the information panel. 3. Added the GMT parameter — Server Time Zone. 4. Fixed the bug with frequent modification of the stop loss. "Money management risk" function is now fixed.